Oh Lordy! 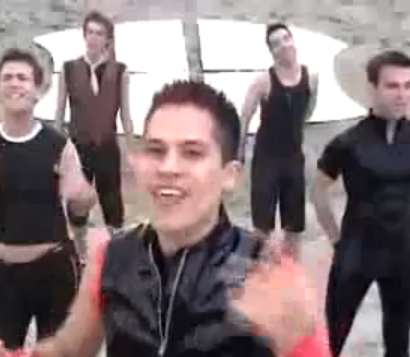 We don’t know if these guys are new at this or if this is just bubbling to our attention ten years after they made the video, but when we found the Spice Boys video for Say You’ll Be There today, it all came rushing back to us. The movie, the lollipops and trading cards, the music videos, “The little Gucci dress or the little Gucci dress?” The Spice Girls must have made about a billion dollars each in the 90’s. Take a trip down memory lane courtesy of the Spice Boys. Sporty Spice Christian Cartwheel is kind of a babe, eh?